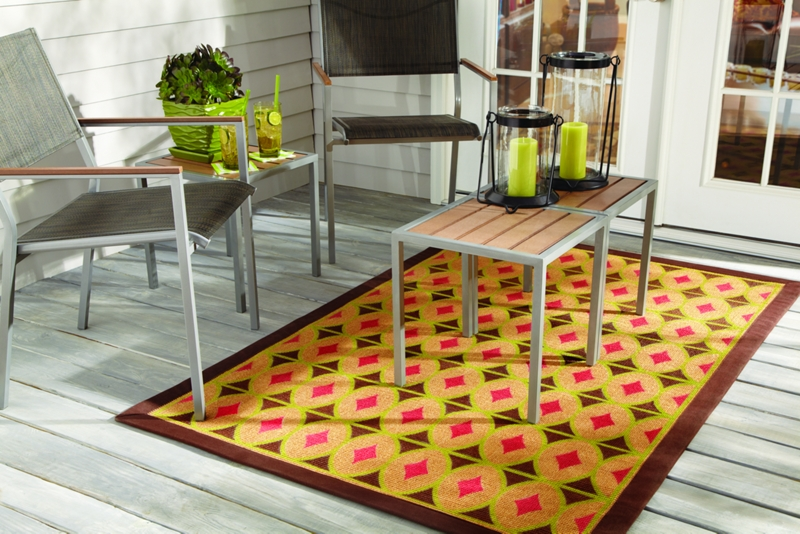 Bring the sweet shades of summer to your backyard with this outdoor rug project. Sweet Shades of Summer Rug was designed by Vicki O'Dell. Remove all dust with a vacuum. Tape off areas that won't be painted with newspaper and painters tape. Paint open areas with Krylon® ColorMaster™ Primer. Continue to mask, prime, paint and let dry until the rug is covered in the design.